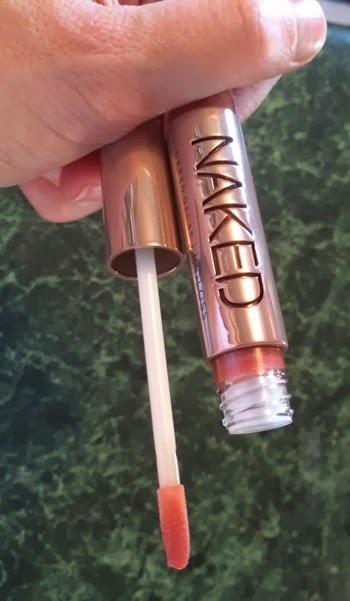 THE SKINNY: I was way too excited to try Urban Decay's Naked Ultra Nourishing Lipgloss. There's nothing in the Naked line that I have not liked so far. This lip gloss was no exception. The color was perfect. Simple. Natural, but with shine. And while it went on like a gloss and looks like a gloss, it felt like a balm. Hours after application, the moisture was still there. Albeit some of the sheen was gone. This lipgloss comes in nine shades -- something to match most skin tones -- or you could opt for a little more color. This will be a go-to product from here on out. The only downside is the cost. It's a little pricey, but not horrible when you compare it to other products in the line. KEEP OR TOSS: Keep. Look for samples in other colors. CHECK IT OUT: Urban Decay is available online and through beauty retailers such as Sephora and Ulta.